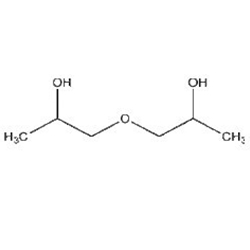 Dipropylene Glycol LO+ (DPG LO+) is a high-purity product, designed for use in odor-sensitive applications such as fragrances and cosmetics. The material, a distilled product with purity greater than 99.5% as dipropylene glycol, is a liquid that is practically odorless, colorless, water-soluble and hygroscopic. This grade of DPG was developed by Dow to meet the needs of manufacturers who require a consistent high quality for their fragrances and personal care products. WARNING: DPG is not a food grade product, and should not be used in food, beverage, flavoring applications which will be ingested in any capacity.